Rumour has it #HrithikRoshan and #SussanneKhan back together? #BollyGossip Are These Two Rekindling Love? 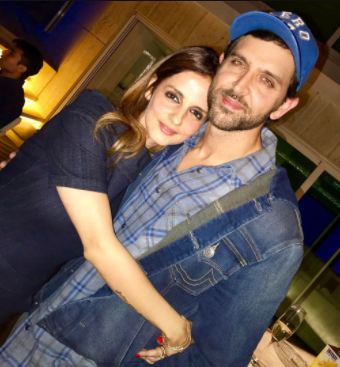 Two years after calling it quits in their 13-year-old marriage, there’s speculation if Hrithik Roshan and Sussanne Khan have decided to rekindle their relationship. The speculations surfaced when the duo brought in the New Year with their sons, Hrehaan and Hridaan, and Sussanne’s extended family in Dubai. The interior decorator also was present at her former in-law’s Pinky and Rakesh Roshan’s residence on January 22 for ex-sister-in-law, Sunaina Roshan’s birthday. Previous Vidya Vox Is Back With A Heavenly Remix!